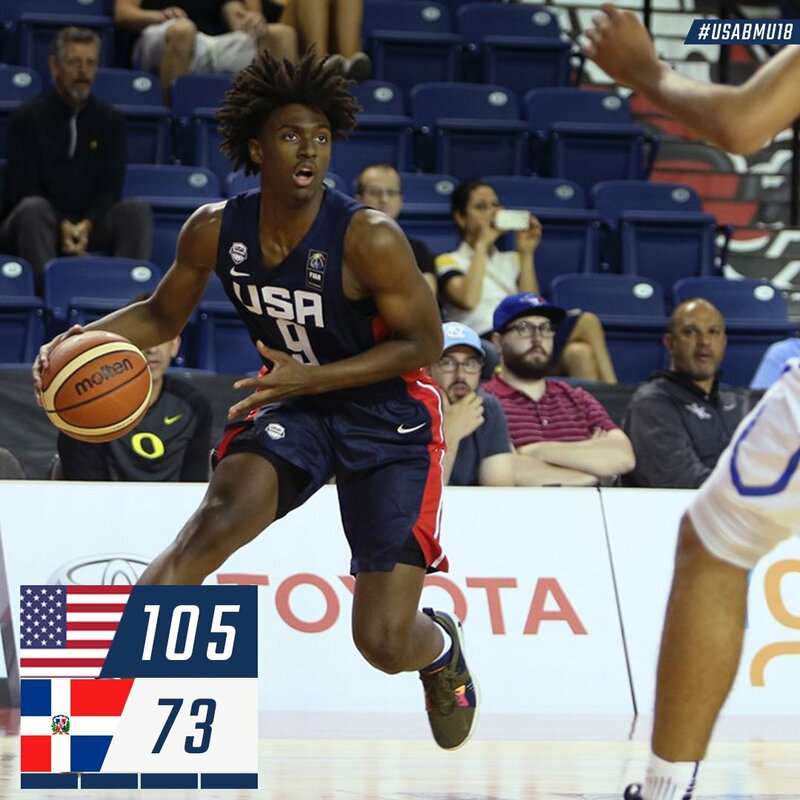 Team USA ran away with a 105-73 victory over the Dominican Republic to open the FIBA Americas U18 Championship this afternoon. For a team stacked with five-star talent, it was a result most expected. The biggest storyline of the day, however, came from the game’s top performer. And it’s a player Kentucky fans should be pretty familiar with. UK target Cole Anthony led the team in points with 18, but Kentucky commit Tyrese Maxey was the easily best player on the floor, finishing the day with 14 points (5-8 shooting), five rebounds, three assists, and three steals. Team USA was incredibly successful with Maxey on the floor, with the 6-foot-4 guard leading the team with a +42 +/- in just 28 minutes on the floor. Maxey impressed on both ends of the floor, knocking down tough shots on offense and bringing great energy to the table on defense. What sets Tyrese Maxey (@TyreseMaxey) apart from other prospects? Just how engaged in the action he is when he’s on the floor, whether it’s offense or defense, he is locked in on every position and brings the energy to the floor @HoustonHoops17U. Tyrese Maxey with 14 pts 5 reb 3 ast 3 stl…. was best player in this game IMO. Cole Anthony with 18 is the other star for USA u18. Before USA headed to Canada for the event, 2019 five-star point guard Cole Anthony complimented Maxey on his style of play and said he was a big fan. Kentucky target Matthew Hurt also added 12 points and nine rebounds. 1?2? pts. @HurtMatthew + 9? reb. 1?1? pts. @iget_buckets35 + 9? reb. Team USA will take on Panama tomorrow night at 8:15 PM ET.